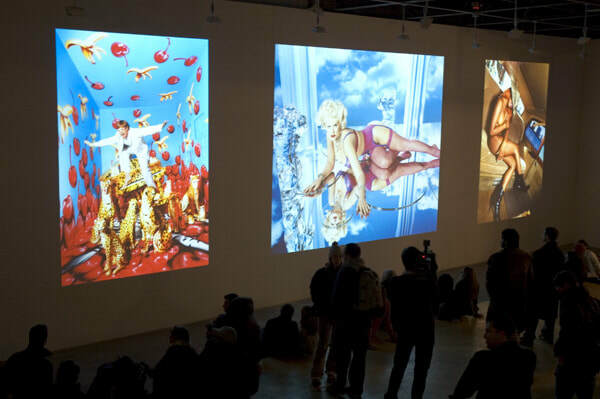 Superior color and geometric accuracy are critical in museum and gallery installations. 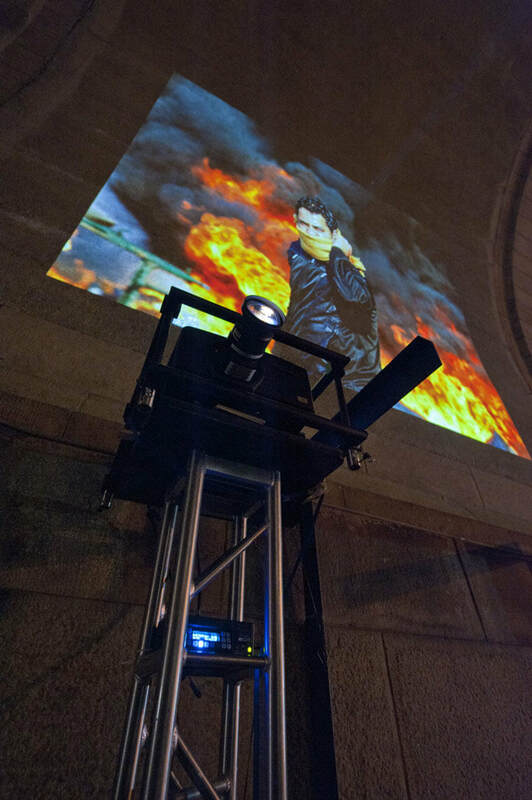 K2imaging's equipment is chosen for its quality and accuracy. 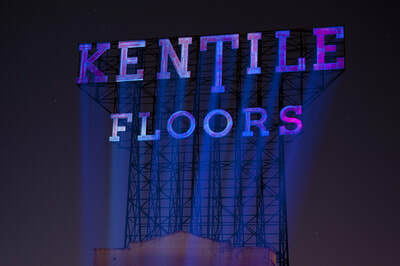 Kentile Floors sign between the projector beams. 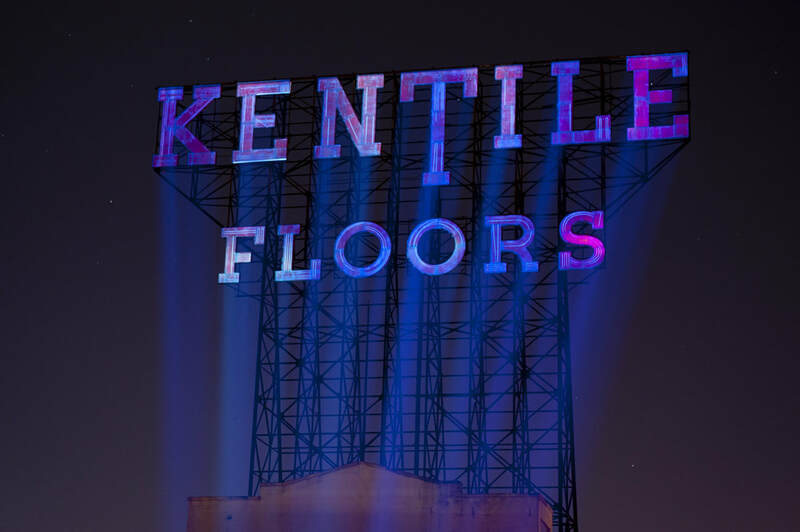 May 3, 2014 – the first (and last) unobstructed projection onto the Kentile Floors Sign. 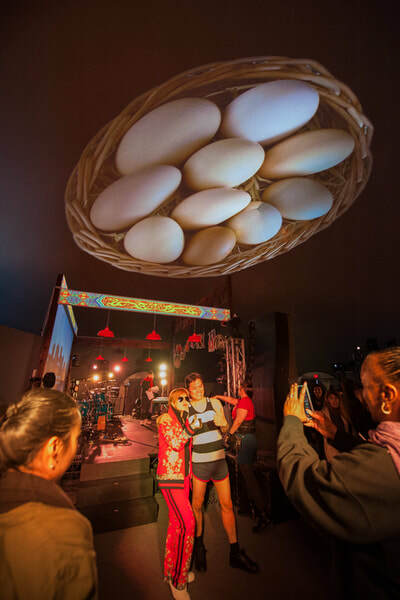 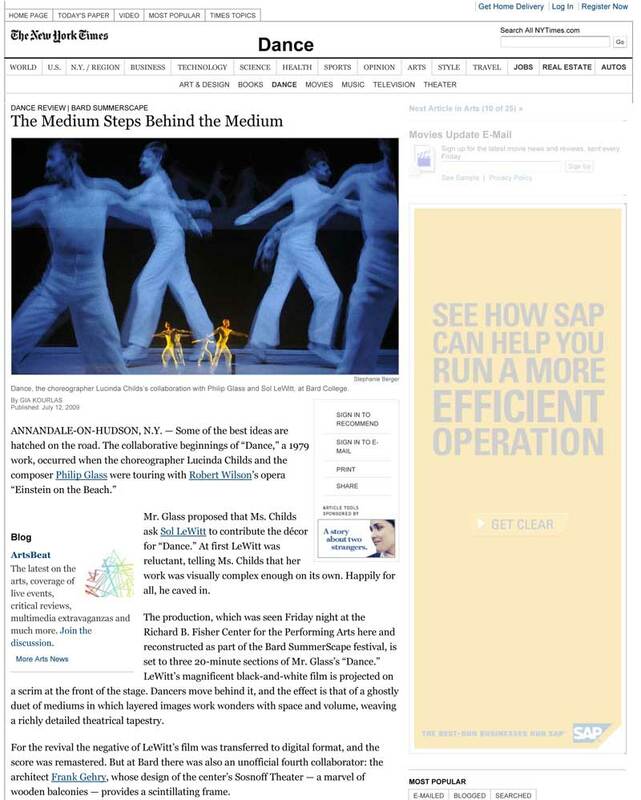 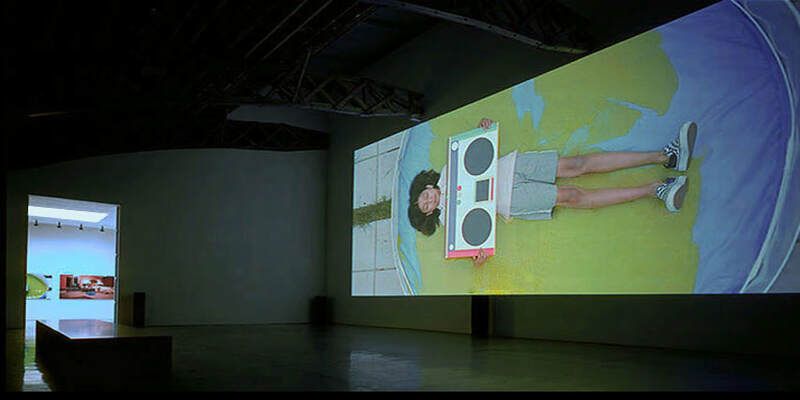 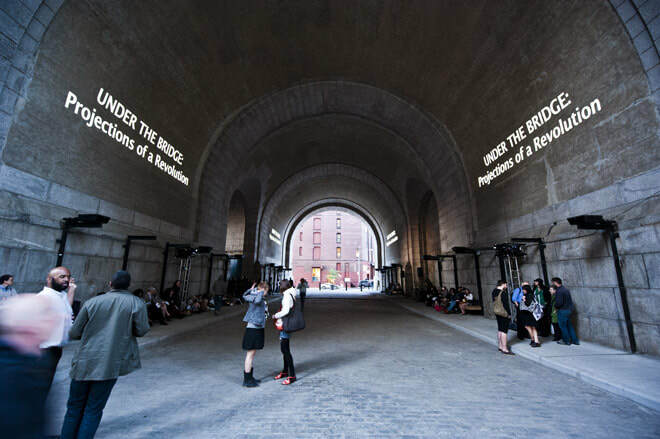 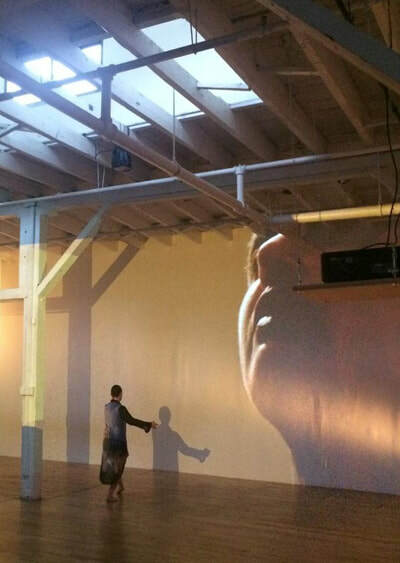 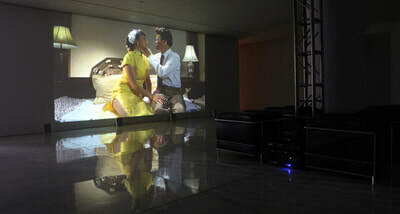 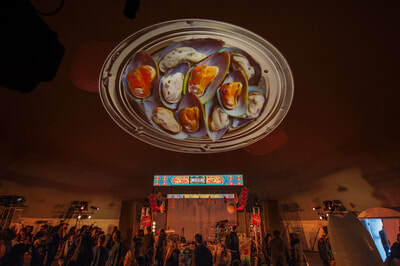 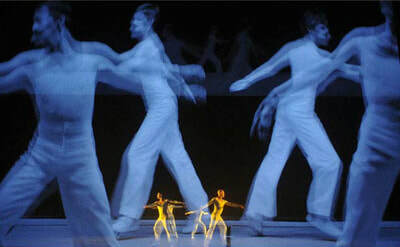 “Dance” at Bard College was produced by overlapping two Christie 20k projectors onto a scrim that filled the proscenium.